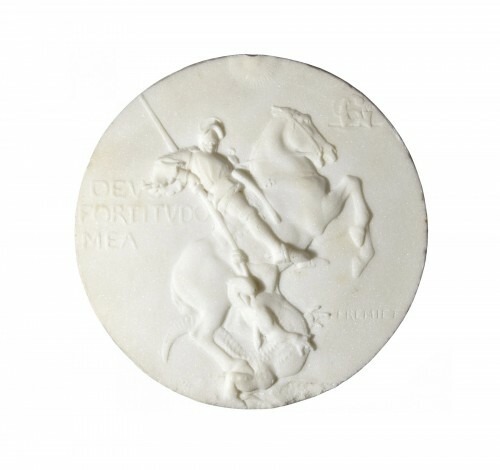 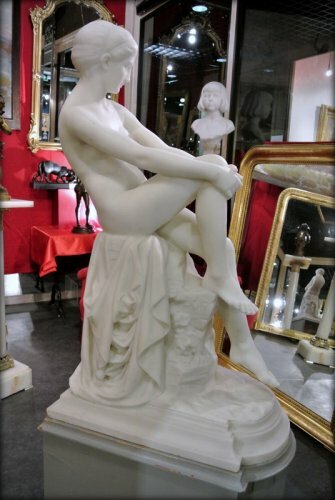 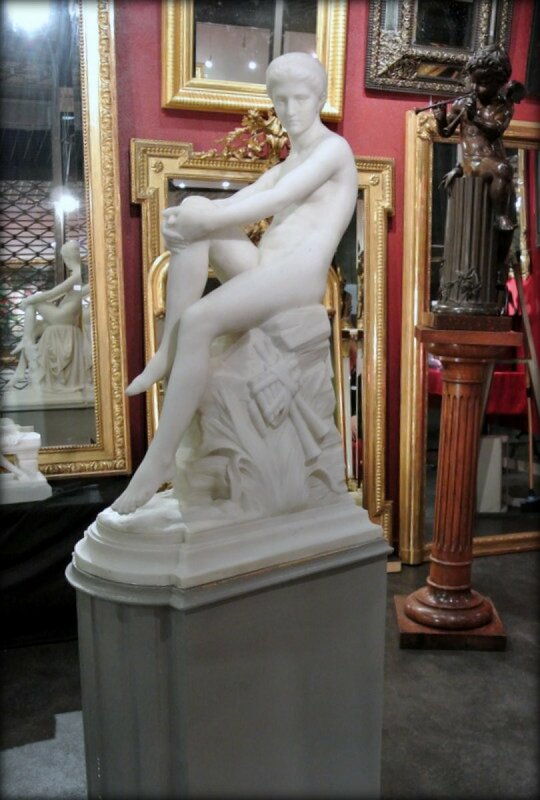 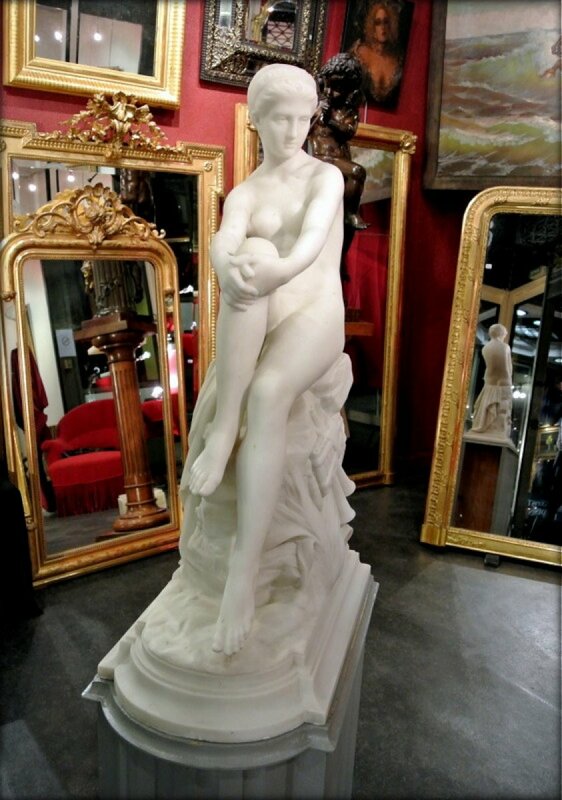 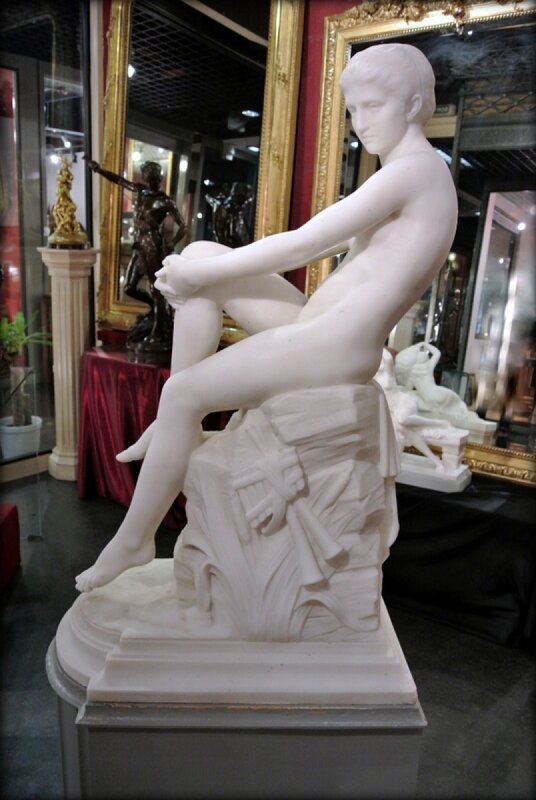 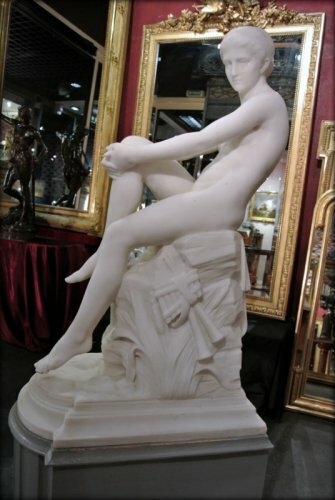 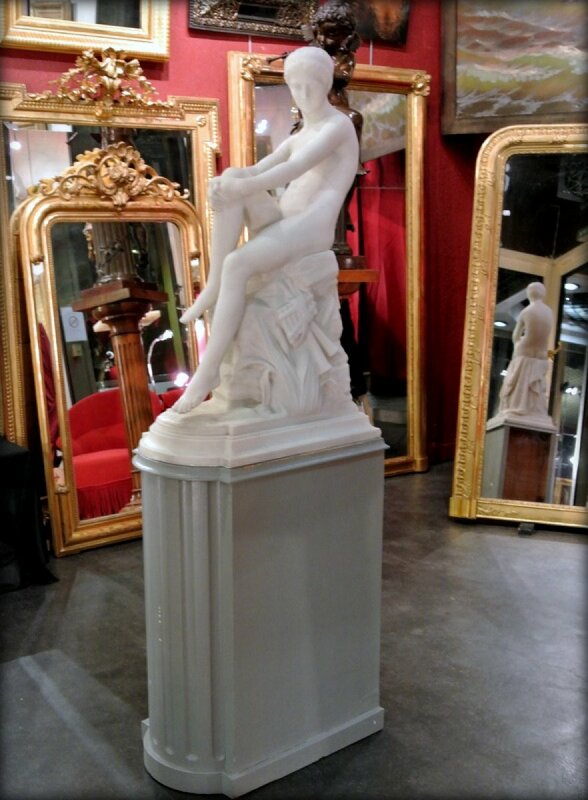 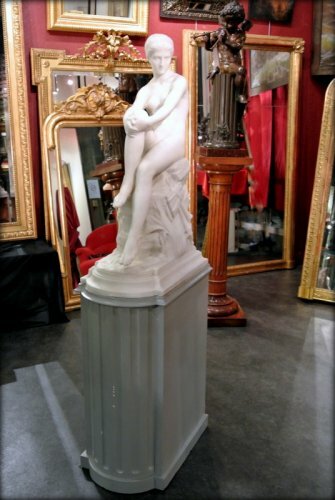 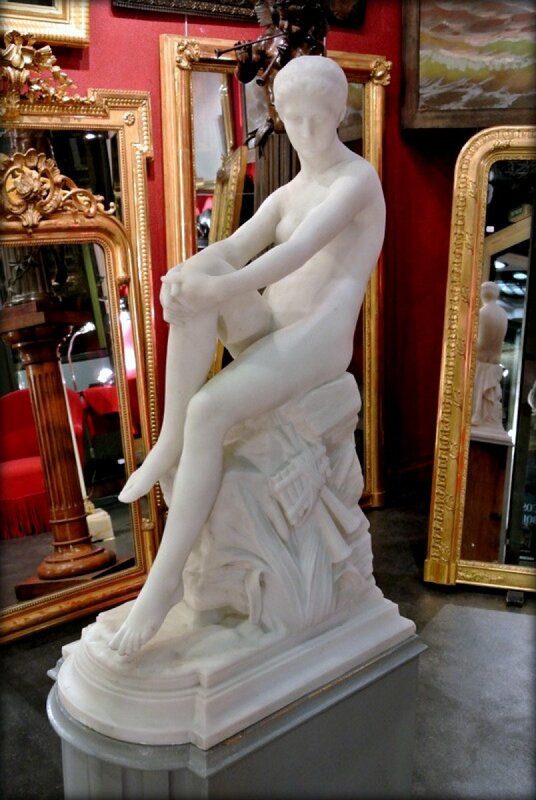 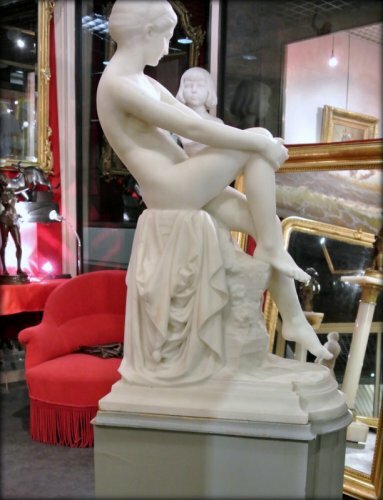 Sculpture Carrara marble sculpture, late 19th century, signed A VASSELOT (count Anatole Marquet de Vasselot 1840/1904) based on the presentation model in the Park of the Château de Compiègne, "Chloe at the fountain" character inspired by the novel Daphnis and Chloe. 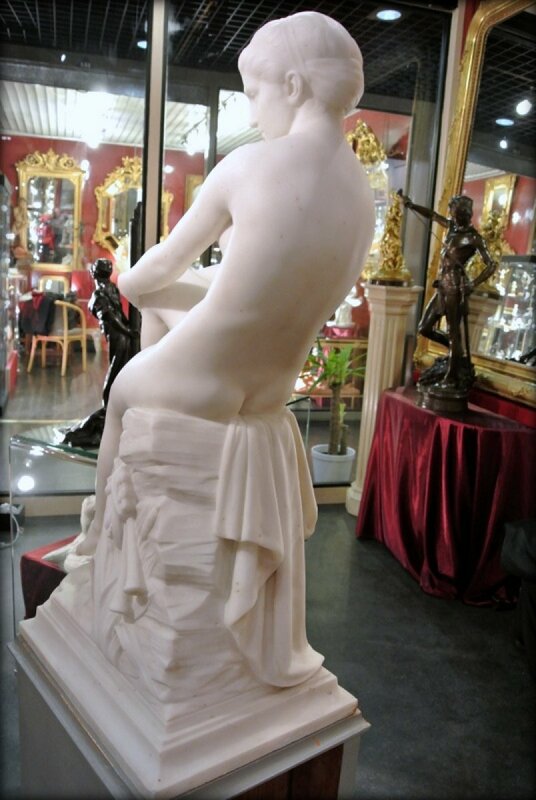 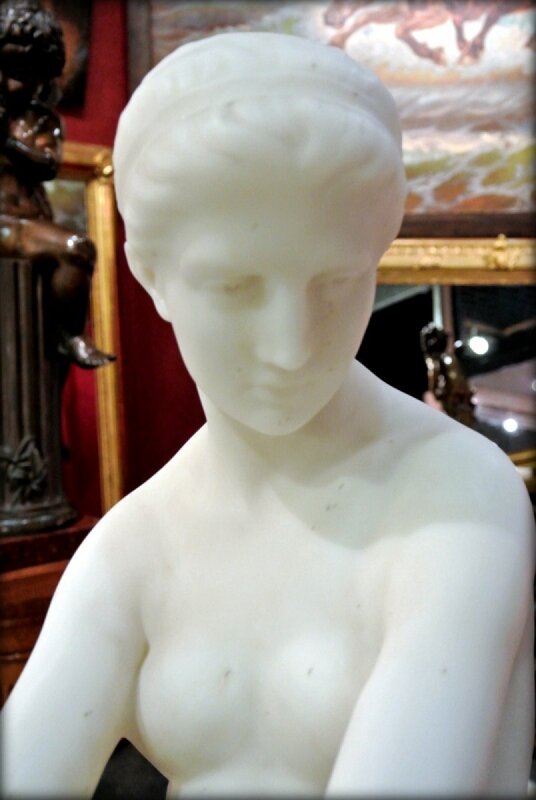 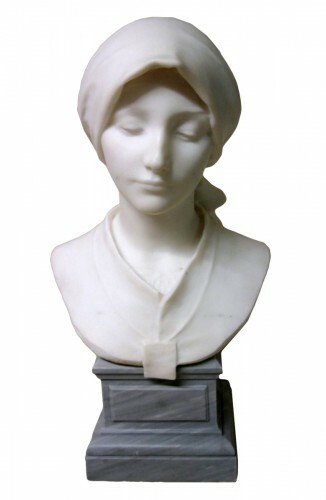 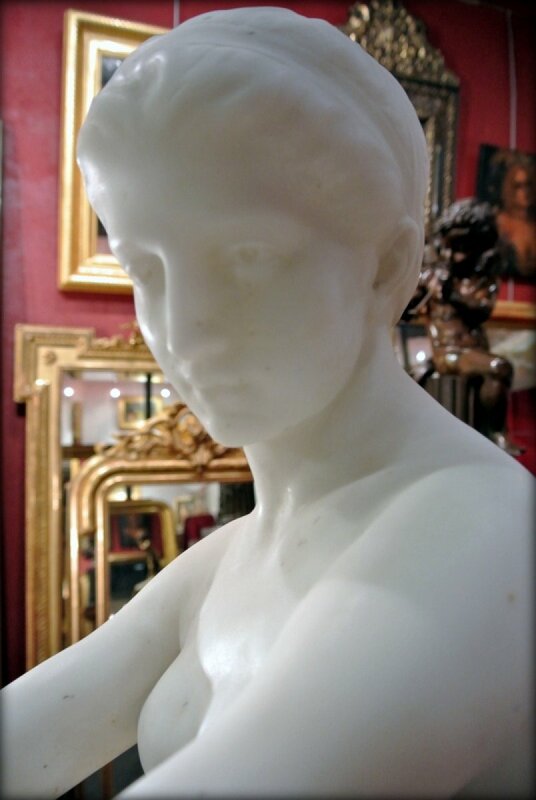 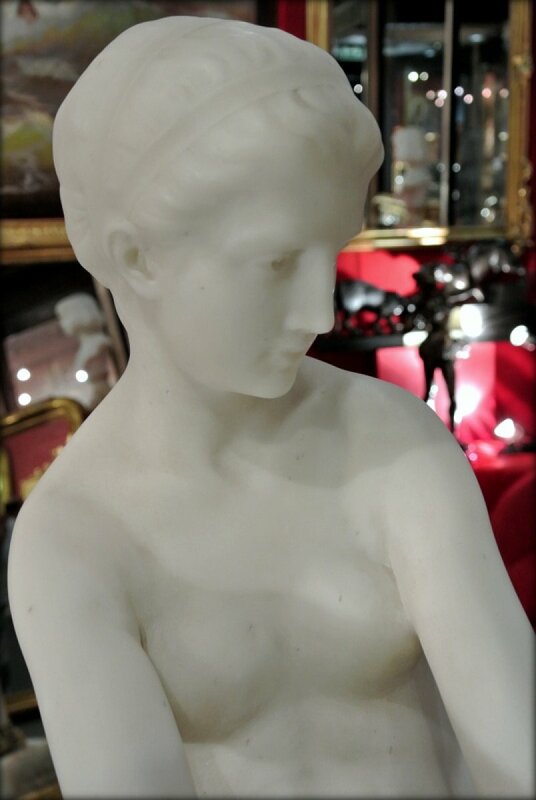 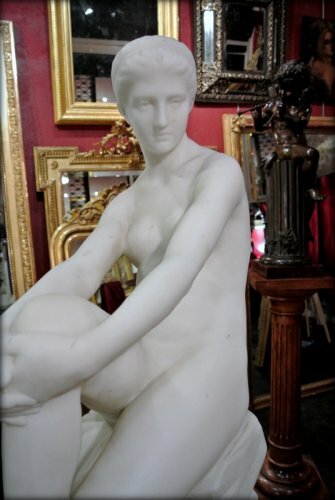 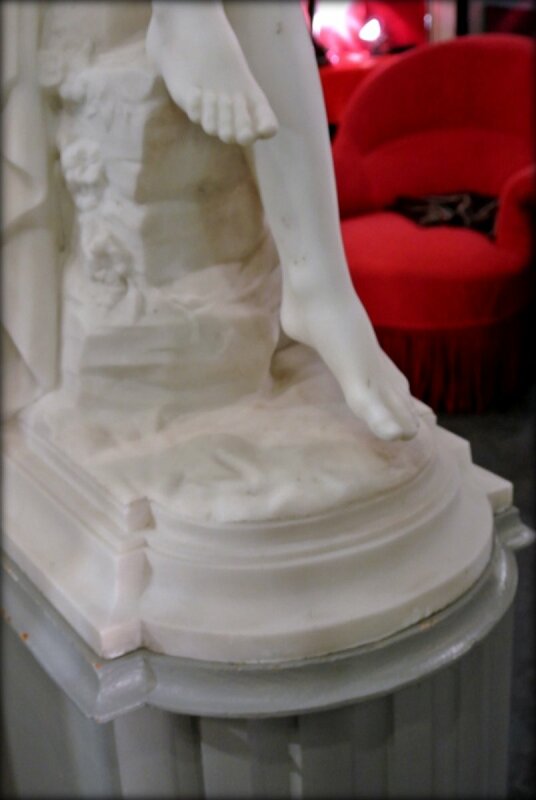 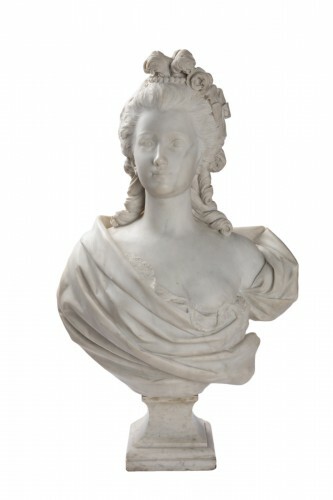 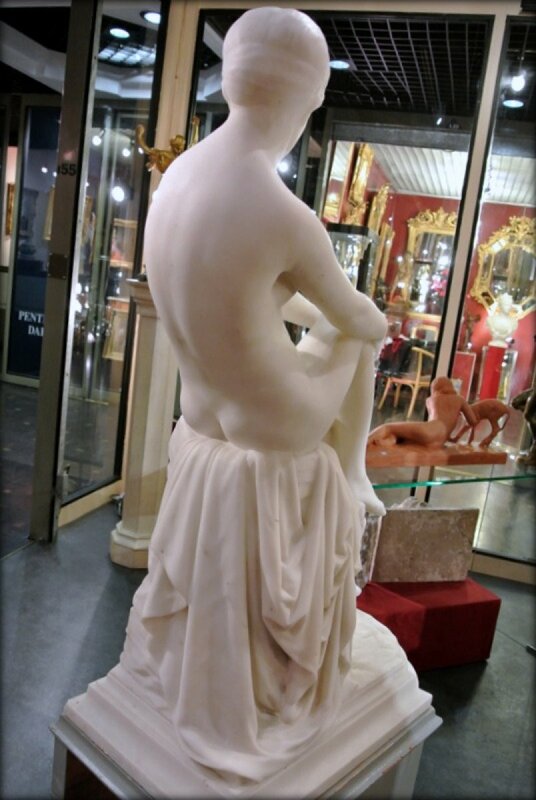 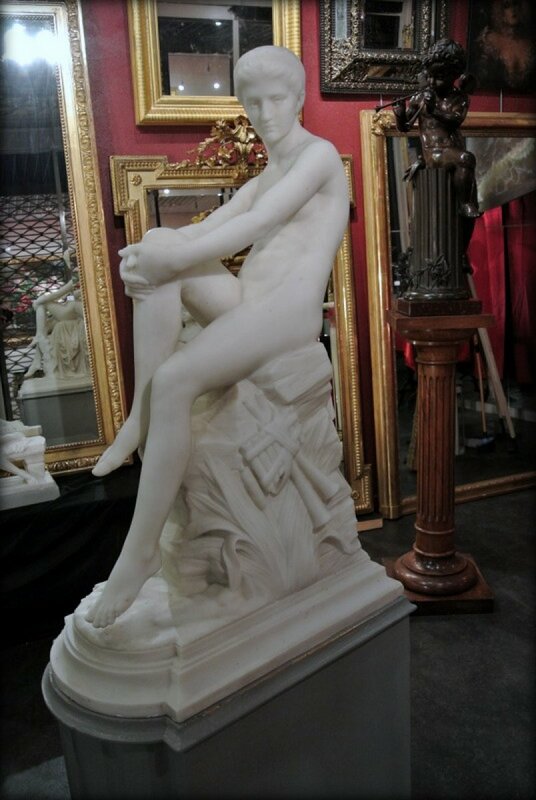 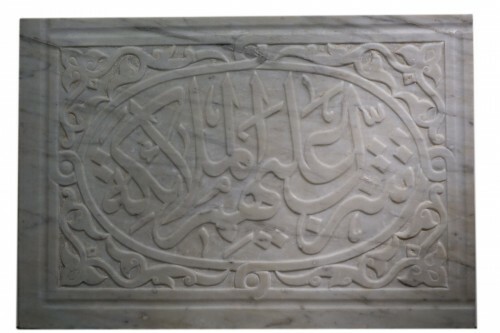 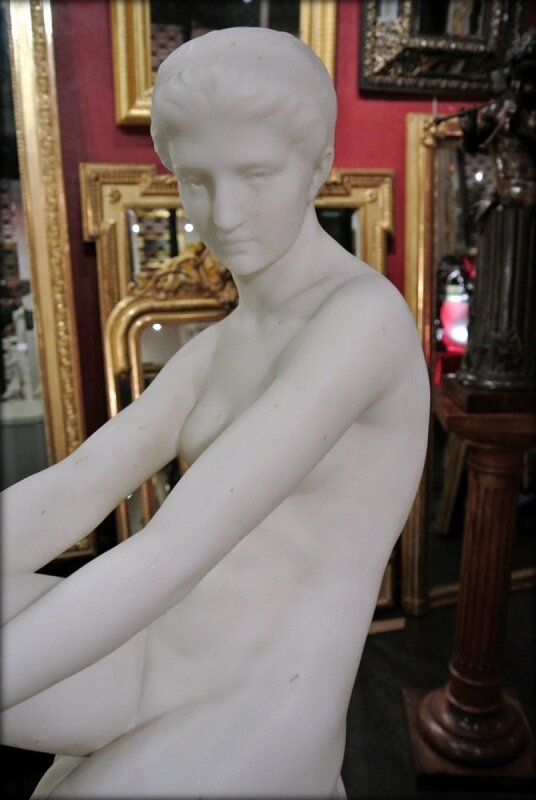 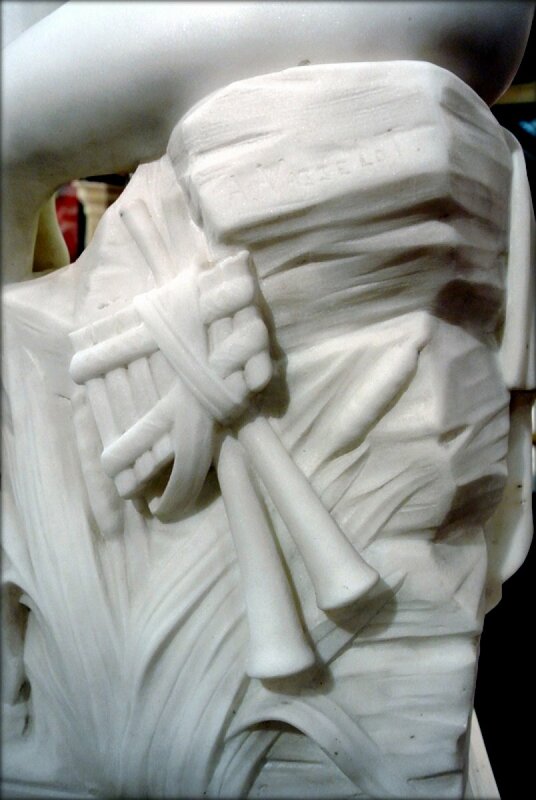 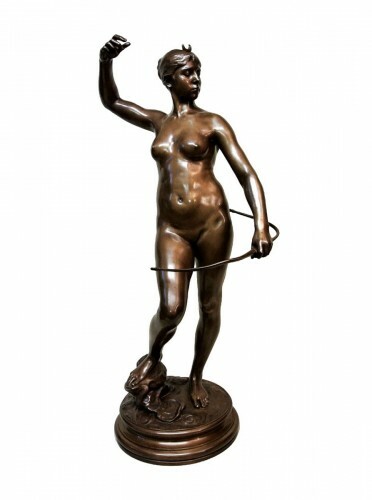 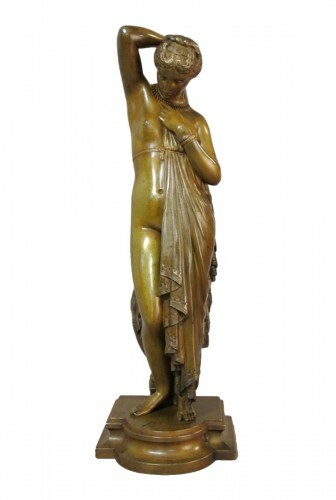 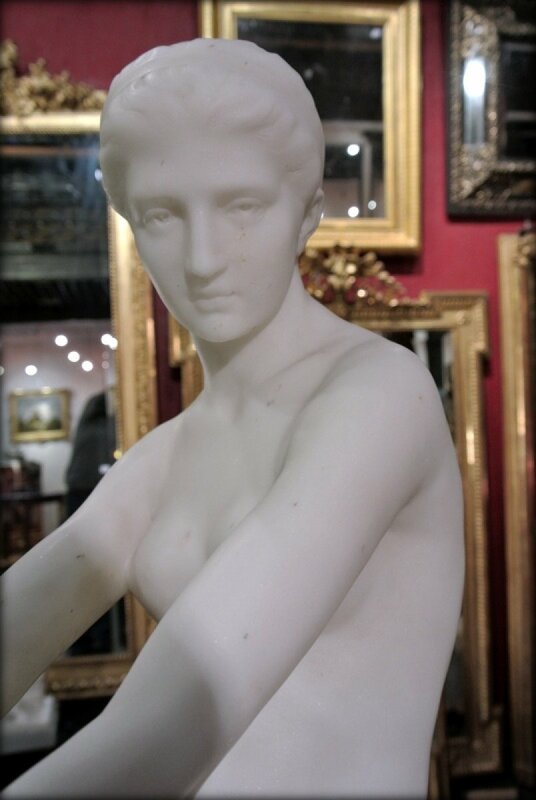 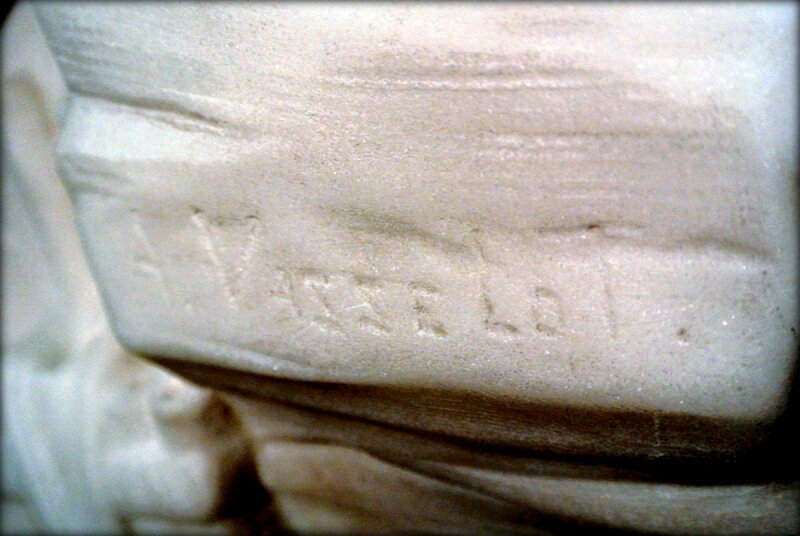 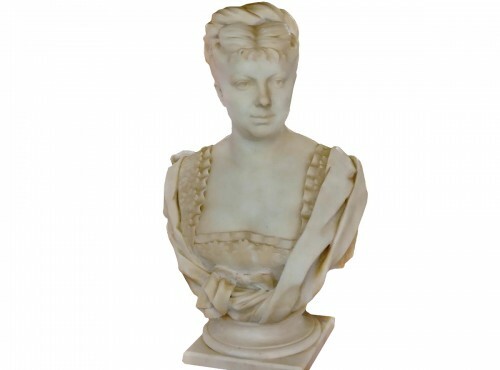 Statue in good general condition, presence of fine inclusions, slight scar on an angle rear base. 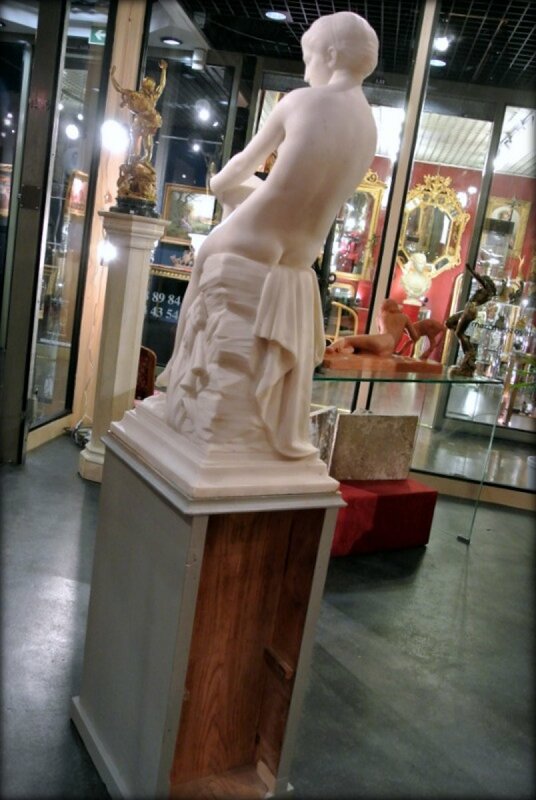 Column support in grey lacquered wood measuring 70 cm tall.